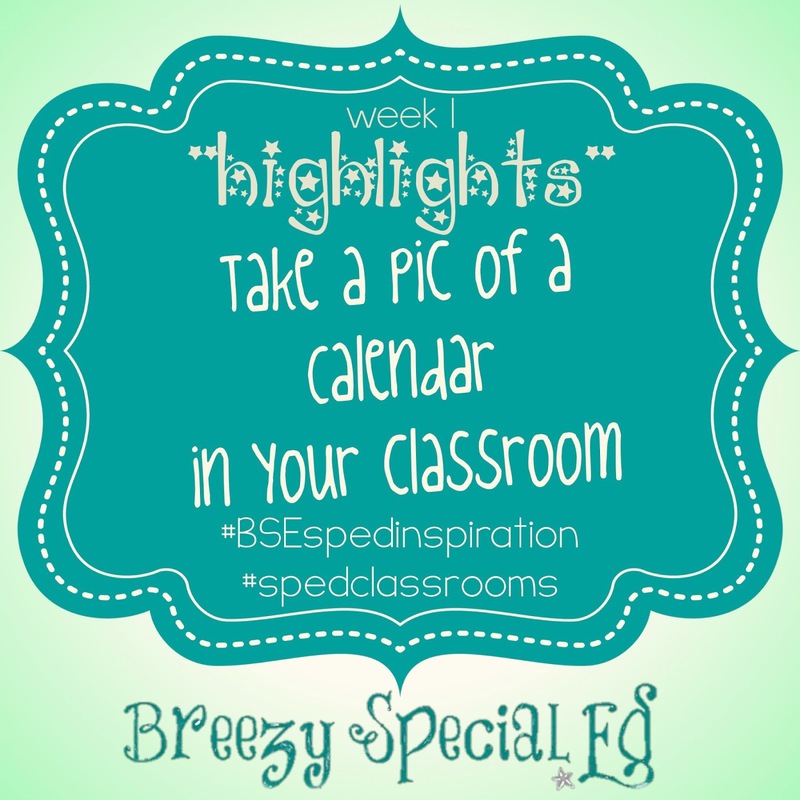 The first week of #BSEspedinspiration was so much fun! We had 32 different posts and it was so much fun to look through and see everyone's calendars in their classrooms. I loved them all! 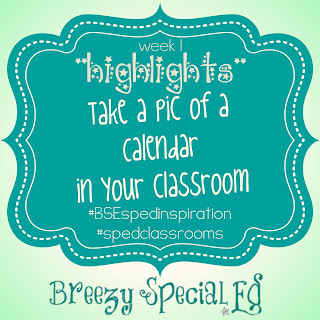 This is going to be hard, but I'm going to limit my feature to three each week, and you'll just have to check out the rest on instagram #bsespedinspiration! This great pic is from @n1colette09, who says "Writing on a posted desk calendar has given my calendar time more meaning than ever before! I'll never go back to Velcro numbers!" There are so many things I love about this. The home visuals help students understand weekends and days off. It is easy to set up! And it's extremely age appropriate for older students as well! Space Saving Calendar Area: Tri-fold to the rescue! This post is from @wittyinautism: "My calendar is on a foam trifold because I don't have enough board space. 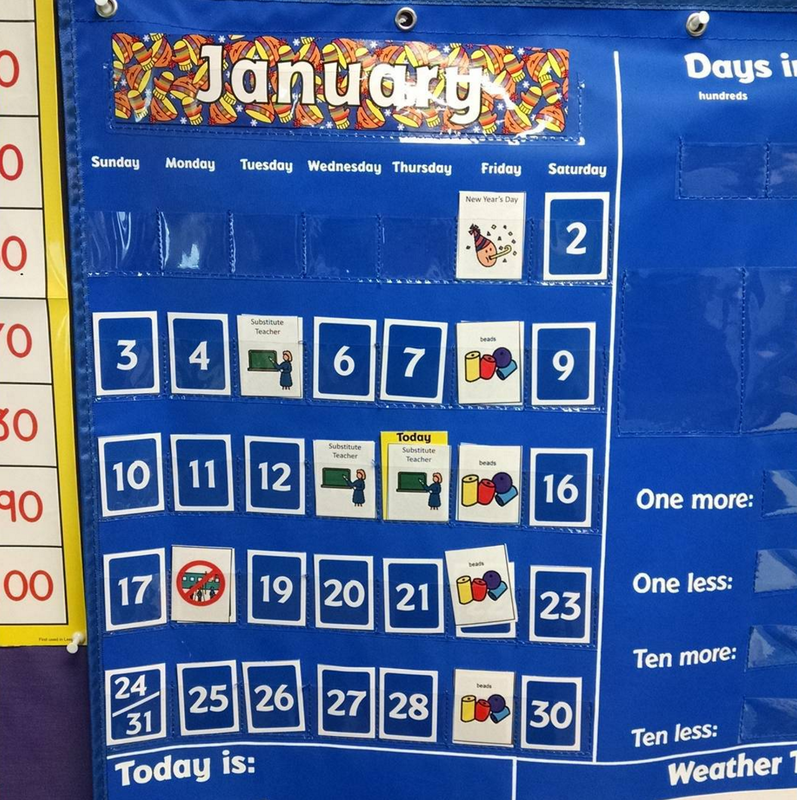 I (LOVE) the calendar bundle from @autismadventures83 " I love this idea and it can be used for so much more than calendars. If you run out of room, grab a tri-fold! Read more about these calendar visuals from Autism Adventures here. 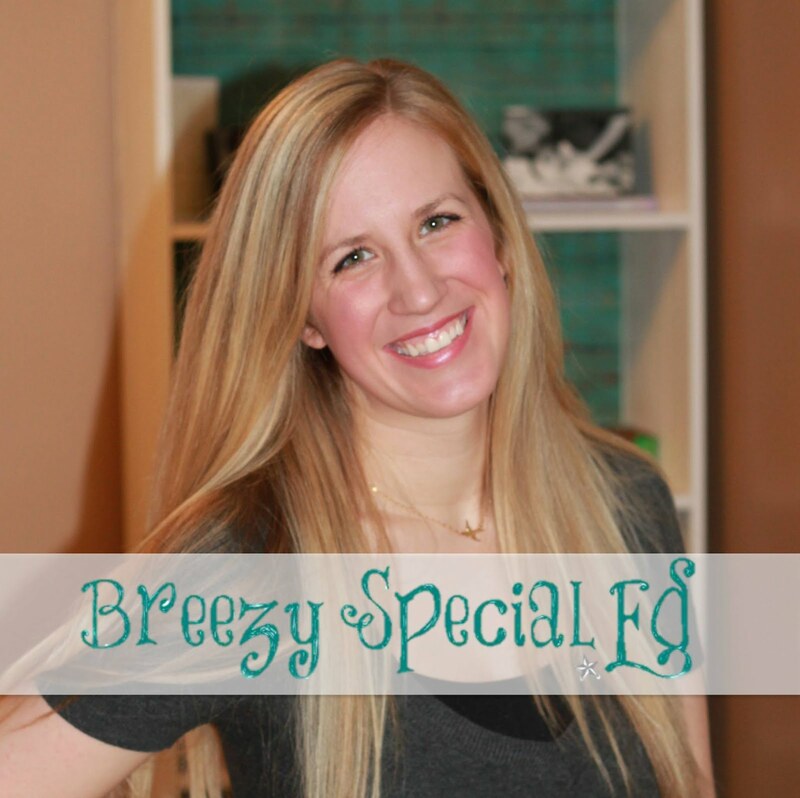 @rtschetter91 writes: "I have a K-1 resource room, so kids come in and out for groups throughout the day. If they do their work and follow all our classroom rules they earn beads to put in little treasure boxes they paint at the beginning of the year! Then at the end of the week we spend time counting beads into 10 frames and they have a menu to "purchase" from of short activities or prizes. Adding "bead day" to the calendar stopped the question "is it count bead day??" 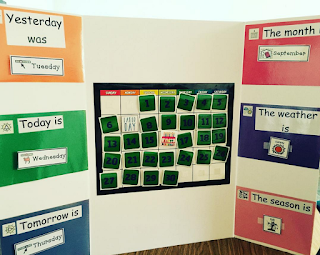 from happening all the time now that the kids can just look at where we are in the week!" 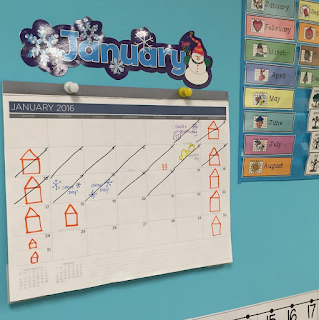 I love her bead day idea and the visuals really help students see when it is coming up. This last one is mine! 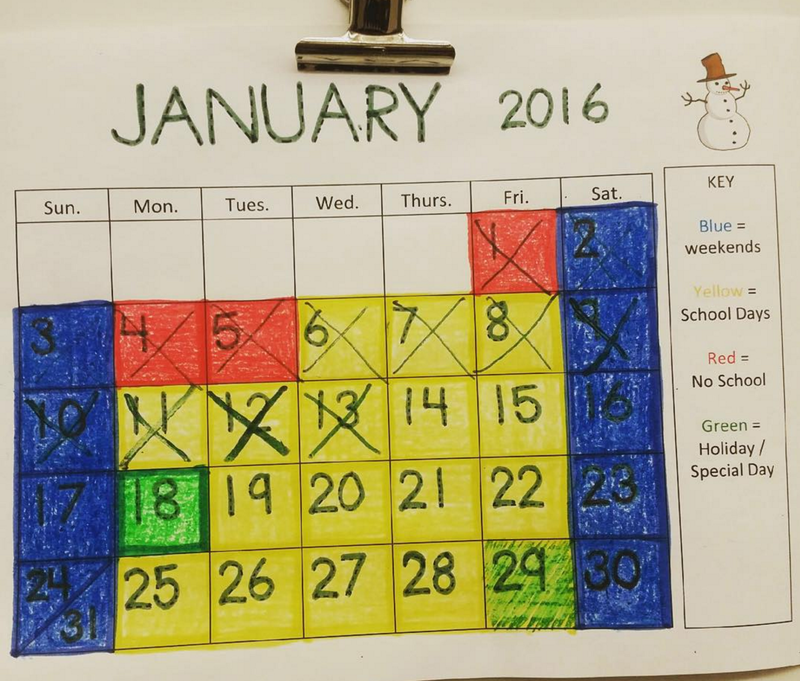 "One of my awesome aides snapped a pic of our color coded calendar! This is the classroom sample (which by the way my maternity sub clearly colors better than I do) but all my students have one that they make and keep in their binders and cross off daily." 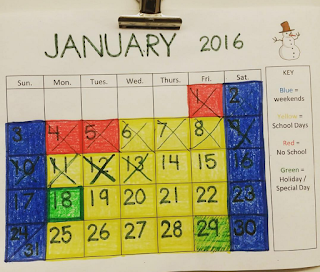 The different colors mean different things (yellow = school day, blue = weekend, etc) which helps students see what is coming up and what to expect each month. 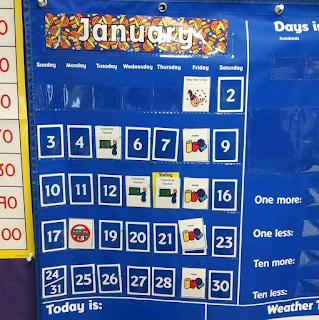 Read more about these color coded calendars here. 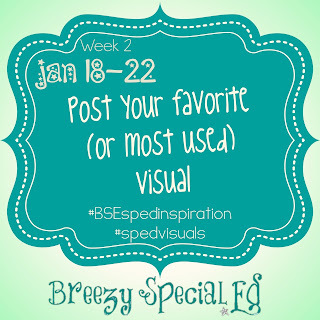 Join us this next week as our topic is visuals! 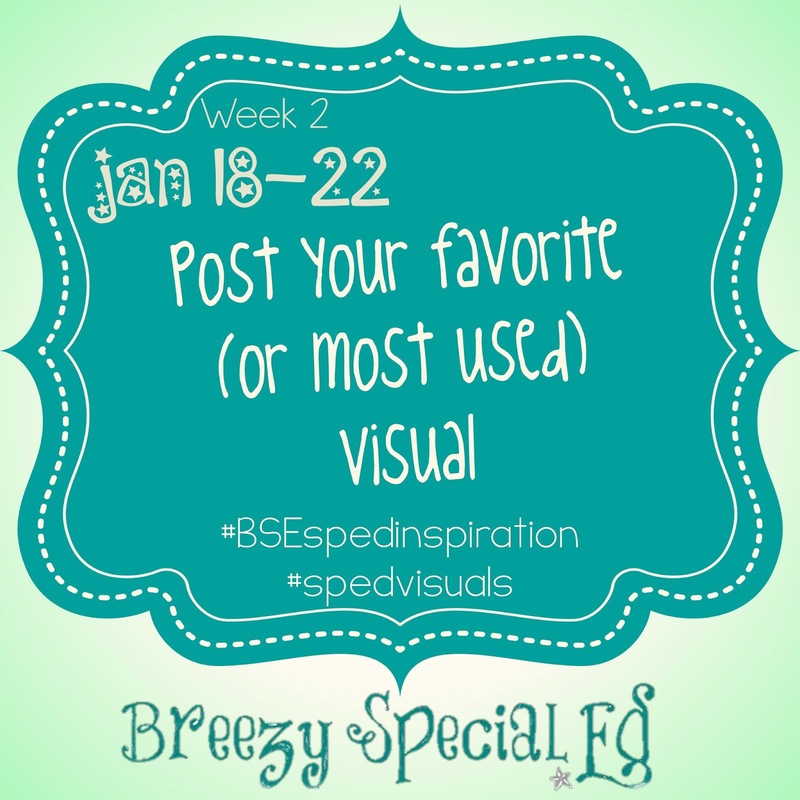 Use hashtags #BSEspedinspiration and #spedvisuals so we all can check them out. Can't wait to see them! Should we post the pics on instagram only and you will choose from there? ?